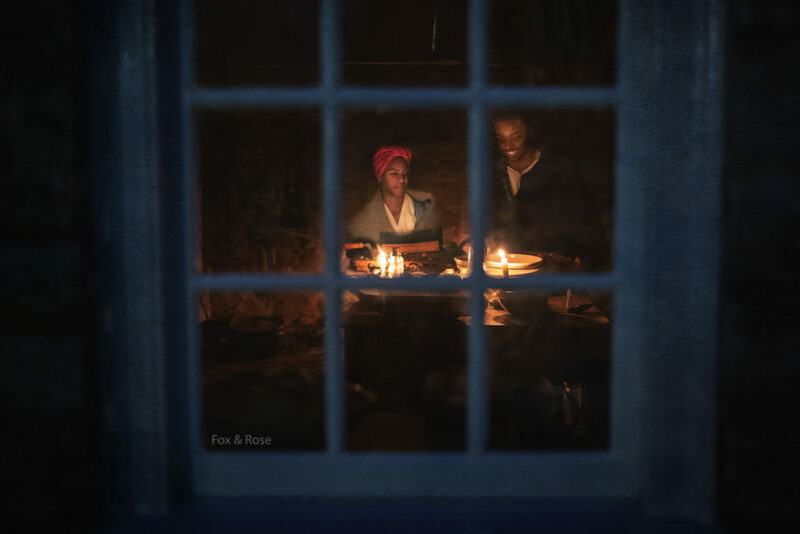 Alfred and Rose, portrayed by Sidney and Xavier, in the hearth kitchen at Historic Locust Grove in Louisville, Kentucky. – Photo by Heather R. Hiner/Fox and Rose Photography. In my previous post, I shared the story of an enslaved man named Alfred who was most likely sold by the Croghan family of Historic Locust Grove as punishment for an unknown act. This post begins a series on the life of a second man, Alfred Croghan. For the most part, the enslaved people who lived and labored at Locust Grove in Louisville, Kentucky are poorly documented. When I started this research project, Alfred Croghan was documented better then most. But “better than most” is a low bar. I knew his first name, the approximate year of his birth, and that he had spent part of his adult life at Mammoth Cave. After many, many hours of research and with the help of librarians, archivists, and others, I am excited to share that Alfred Croghan has gone from being poorly documented to being the first enslaved person owned by the Croghan family that we can trace from a child at Locust Grove to his death as a free man in Louisville. Alfred’s first documented appearance may be in the 1820 Census. According to the census, half of the enslaved people living at Locust Grove were 14 or younger. I cannot be entirely sure that Alfred is one of the children listed in the census because the only person listed by name is the head of the household, Major William Croghan. Major Croghan’s family and the enslaved people he owned are not listed by name. 1820 Federal Census for William Croghan (highlighted in yellow). Alfred Croghan may have been one of the eight male enslaved children seen in the census (highlighted in orange). I have not come across any records of births of enslaved children at Locust Grove. However, I am pretty confident that Alfred was born in 1820 based on some wonderful photographs I will share in a future post about Alfred. The census was taken in August of 1820, which means if Alfred was born before August, he is one of the eight enslaved male children living at Locust Grove who were recorded on the census. Portrait of William Croghan, Jr. The only real glimpse of Alfred’s childhood that we have is a letter written by William Croghan, Jr. to his three year old son, William Croghan III in 1828. In fact, it is the best account of enslaved children in general that we have and is a treasure trove of information. Based on a birth year of 1820 and with no other records pointing to another man around the same age with the same name owned by the Croghans, it is a near certainty that “Al” is an eight year old Alfred Croghan. It’s an account that shows an exuberant boy who is bold enough to be a bit cheeky with William, Jr.
William Croghan, Jr. inherited Locust Grove from his father in 1822 and continued to live there until the death of his wife in October of 1827. Devastated by his loss, William and his children moved to Pittsburgh where he could manage his late wife’s estate. He wrote the above letter to his son in Pittsburgh one after the death of his wife while he was visiting Locust Grove. Being moved to Pittsburgh to serve William’s daughter, Mary, followed by being passed between other members of the Croghan family would have been an experience Alfred shared with other enslaved people owned by the Croghans. It was a common practice for the Croghans to loan, buy, or sell, enslaved people who belonged to their family amongst themselves. Under the ownership of Dr. John Croghan, William, Jr.’s, oldest brother, Alfred would become one of the enslaved guides of Mammoth Cave. Working alongside the storied Stephen Bishop, Materson Bransford, and Nicholas Bransford, Alfred would leave his own marks at the cave and become a part of it’s history. And that’s a story for the next blog post, so stay tuned! When trying to decide on what to share first, I kept going back to something I posted on my personal Facebook page a few months ago. In the spirit of not filling my friend’s feeds with a great wall of text, I tried to pare my thoughts down as much as possible and it was still a lot for a medium that isn’t necessarily set up for sharing thoughts that are more appropriate for a blog. As more and more of my research projects have led to a desire to share what I have found along with my thoughts on the process of unearthing facts from the past and how they translate to life today, I have finally decided to give them a more proper home here. And since this was the post that got the ball rolling, I feel it is only appropriate to expand upon and share that original Facebook post here. While I plan to post on a wide array of subjects, this particular project, researching the enslaved people that belonged to Croghan family of Historic Locust Grove, may be the most important research I have ever done and as such will appear quite a bit here. I am very proud to be a volunteer at a site where bringing these stories to the forefront is a priority. Today, I begin to organize and expand on the research on the enslaved people of Locust Grove that I have have been doing off and on for the past two years. I find myself in a different mindset than I usually am when I tackle research. Normally, I’m energized and very focused when I settle into a research project. There’s a sense of satisfaction when I turn up something new and expand on someone’s story. I get very excited when I discover something that allows us to relate to and empathize with someone from the past. I still feel those things, but this time, there are other feelings, too. 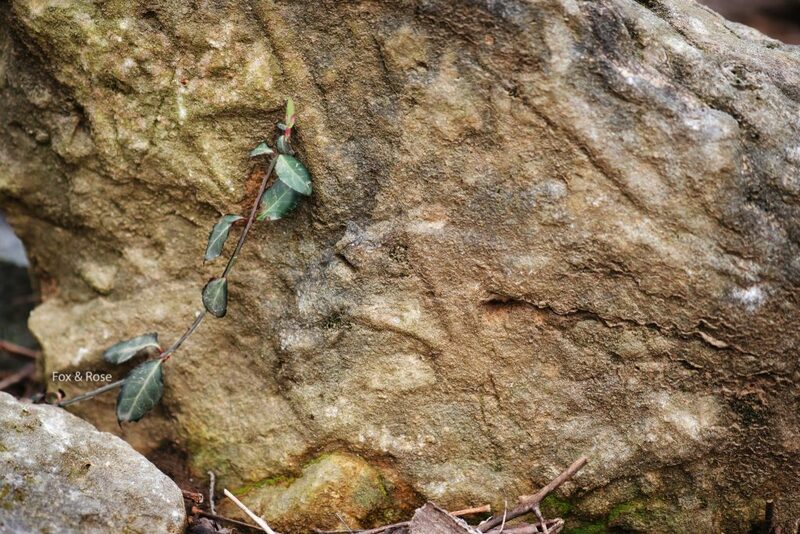 Stone from the remains of a slave cabin at Historic Locust Grove. I feel a greater need to turn over every stone and pebble, to find the tiniest of facts. There are so few that no matter how small, they are all significant. I find my heart heavier at times as I try to grapple with understanding lives lived that I can never fully comprehend because their experiences were so different from mine. There’s a desire to fill in the gaps and give agency and voice to these people who had so little of it in their lifetimes and who were often silenced or ignored by history. There’s anger at how the details of their lives were recorded by others and frustration on the scarcity of information available. And there’s hope, hope that I can somehow do justice to their memories, to their struggles and triumphs, and to the lives they lived. There’s also a weight to the process. It weighs on me. How do I properly share someone else’s story? Can I do justice to them? There’s concern if my self taught research skills are enough to fully convey someone’s existence that was so very different from my own. In the end, I always circle back to the idea that something done in the spirit of love and service to another is worthwhile in spite of the fact that I am still learning the best ways to research and share. It also drives me to keep learning how to convey these stories in a better way. 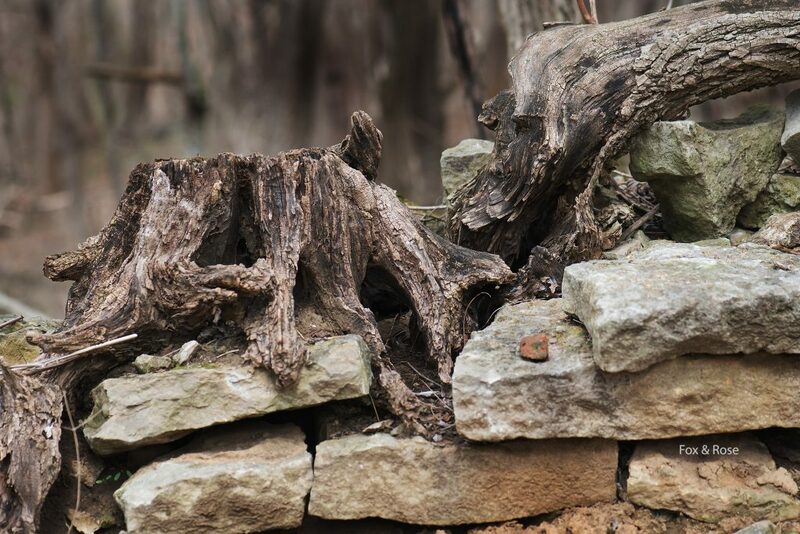 Remains of a tree growing on the foundation of a slave cabin at Historic Locust Grove. And there’s also a beautiful solemnity to the process. 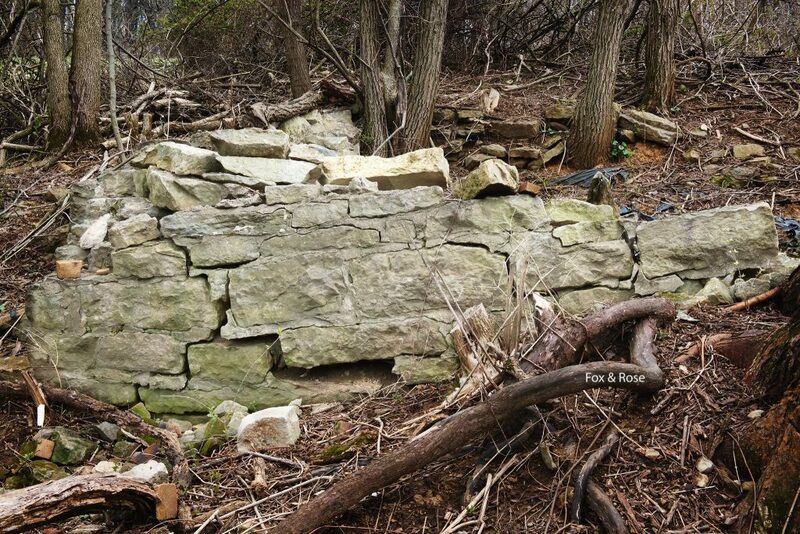 This past spring, I photographed the ruins of the foundation of the slave cabin in the woods at Historic Locust Grove so they have a visual record of it’s current condition. As I was trying to figure out which pictures I needed to take, I also found myself reflecting on who might have lived there. Who from my list of names made this their home? Was this Charlotte’s house, or maybe this is where Criss lived? Or could this be the abode of Hannah, Isaac, Alfred, or someone whose name was never recorded? Who cooked meals here, raised their children, rested after a long day’s labor? We don’t know and it’s possible we never will. But we do know this: There’s no slave cemetery at Locust Grove. We have some theories and guesses about the final resting places of these people, but ultimately, we just don’t know for sure. That, of course, is it’s own kind of indignity when you look at the family graveyard so carefully preserved. Was the “child of Beaty”, who died from bilious fever in the fall of 1832, buried in an unmarked grave outside the boundary of the family cemetery as was often the case, or was this unnamed child laid to rest somewhere else on the property? It’s a mystery that may never be solved. But I do know this: enslaved people lived their lives and worked to carve out their own space on the site of that cabin foundation. They existed in that space and the simple act of naming their names, of standing where they stood and remembering them is a spiritual act of remembrance. Remains of the foundation of a slave cabin at Historic Locust Grove. As I moved around the space, trying to find the angles to properly record the building’s remains, I couldn’t help but feel the presence of those who lived there over 200 years ago. Standing by myself, among the scattered stones in the quiet woods, I was struck that it was a very sacred space. 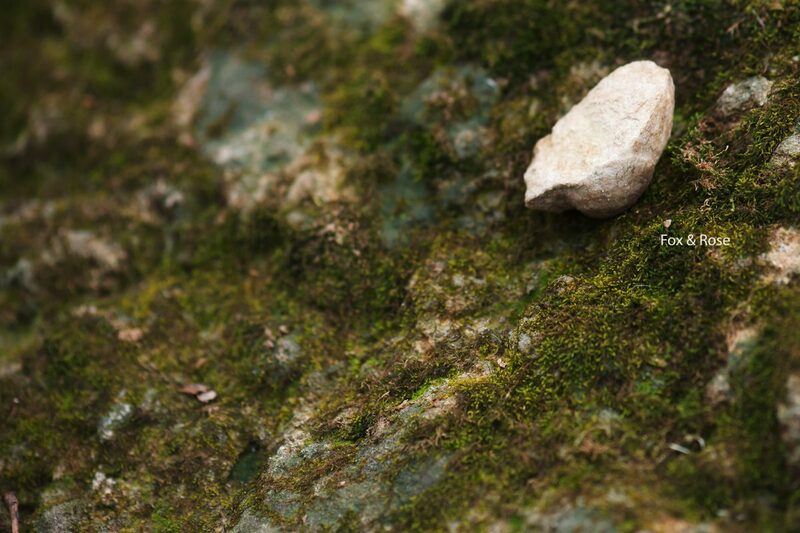 And so I left my own stone, my own token of remembrance, just like I do when I visit a grave. There may not be a slave cemetery, but this space was more their’s than most on the property and it just felt right to honor their passing there, where they had lived. How I felt as I recorded the site has become an overriding reminder of why I do this and it does add to the weight of it all. How do I do right by these people who were marginalized during their lifetimes and forgotten after their deaths? Ultimately, I know I can never fully give them the justice they deserve and that the best I can do is to gather what we have and hopefully find a few new details to fill in the narratives of their lives. And so I organize, and search, and dig, and hope I do well by them. I share their names and their stories and honor their memories in doing so.